RN officer attached to 53rd (Shropshires) during the Mutiny. In our security-conscious age, the idea of a private individual visiting the front line is a strange one. But the Victorians were much less sensitive about secrecy.In the 1884. 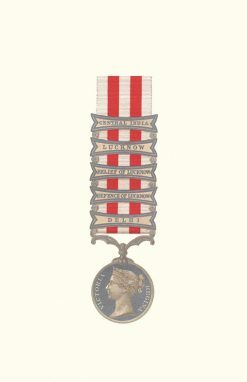 In 1856, Captain Oliver Jones demanded and was granted a year’s leave which he then occupied by taking part in some of the fiercest fighting of the Indian Mutiny.Oliver Jones joined the Royal Navy in 1826 at the tender age of 13 and was promoted lieutenant in 1839.At a time when many naval officers spent the majority of their time on half-pay, he managed to remain actively employed almost continuously; but without seeing any fighting. 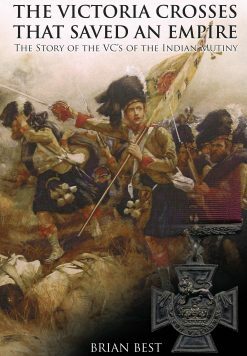 Then, withn the space of five years, he took part in three different wars or campaigns at opposite ends of the world. In 1854/5 he was the Commander of the brand new sail and steam wooden battleship HMS Hannibal both in the Baltic and the Black Sea Campaigns of the Crimean war. In 1860, he commanded the paddle-steamer HMS Furious during the Second China War. 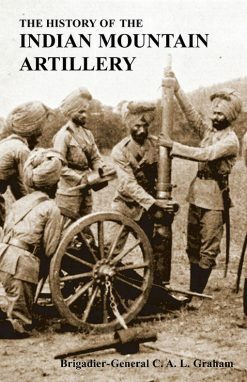 In between, he found time to observe the fighting in India and – in that innocent era before the Official Secrets Act! 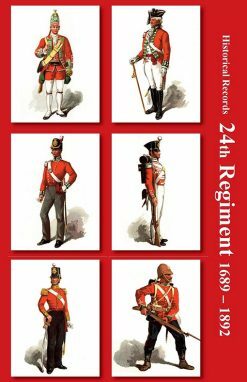 to publish a most vivid and detailed account of the operation and of the forces involved. 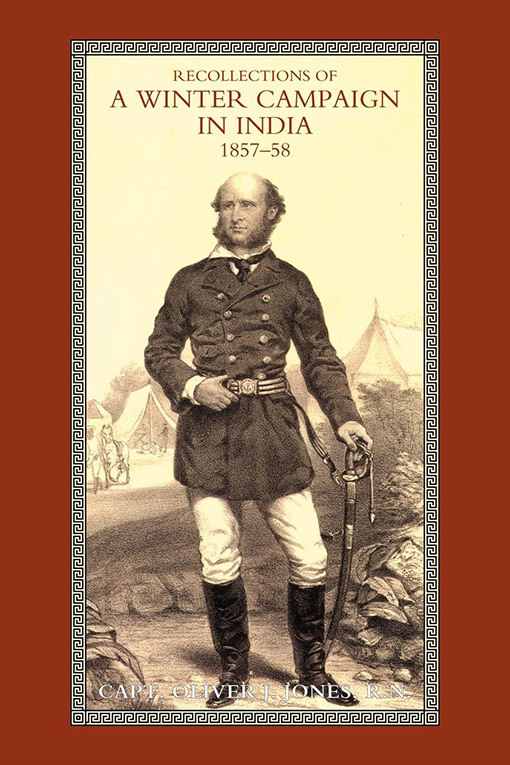 Lucky for us that he did, for his ‘Recollections of a Winter Campaign in India’ gives some fascinating insights into this most unhappy of Britain’s colonial wars.Captain Jones was attached to the 53rd Regiment which meant that he had a front-seat view of the Relief of Lucknow by Sir Colin Campbell’s force and his reminiscences are a rich source of information about the conduct of the campaign, seen with a professional’s eye. 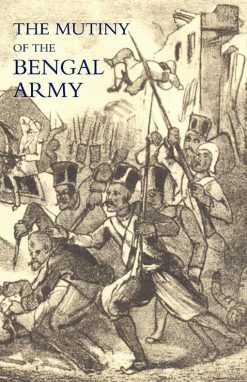 His account of the assault on Lucknow itself is one of the best contemporary accounts we have of this confused battle. 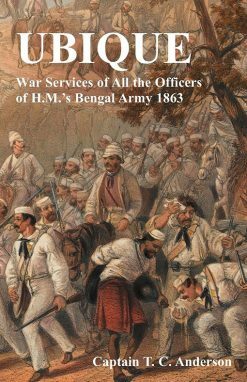 To the naval historian, the most useful passages of all are those which deal with the undoubted ‘stars’ of the Lucknow operation: Captain Sir William Peel and the sailors of the Naval Brigade. Capt. Oliver J. Jones, R.N.